Dentist services concept vector flat illustration. 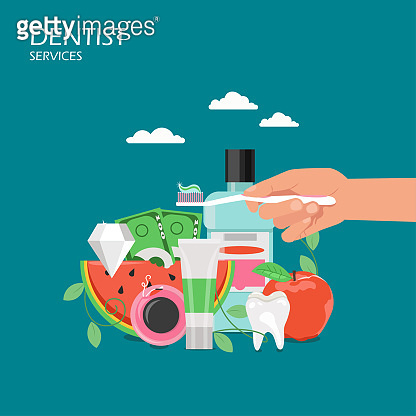 Hand holding toothbrush with toothpaste, mouthwash, healthy tooth, apple, slice of watermelon, diamond, paper money. Dental hygiene poster, banner.